Entertainment Weekly’s Spoiler Room got scoop directly from The Flash’s Grant Gustin about what to expect from the cliffhangers in this year’s Flash season finale. 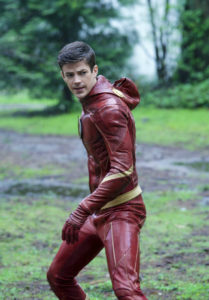 “When I say confusing, it’s more like, in Flash world you just desperately want to know, ‘What does this mean?’ The first one gets you really excited about what’s to come, then the second one probably is going to make your stomach hurt, and want the next season immediately,” he teased. As previously said, the identity of the “Mystery Girl” as played by Jessica Parker Kennedy will be revealed in the finale. Our money is still on Barry and Iris’ granddaughter, Jenni Ognats aka XS; the prevailing fan theory is that it’s their daughter Dawn Allen, which makes us wonder where Dawn’s twin brother Don happens to be. You can read the EW Spoiler Room column here. 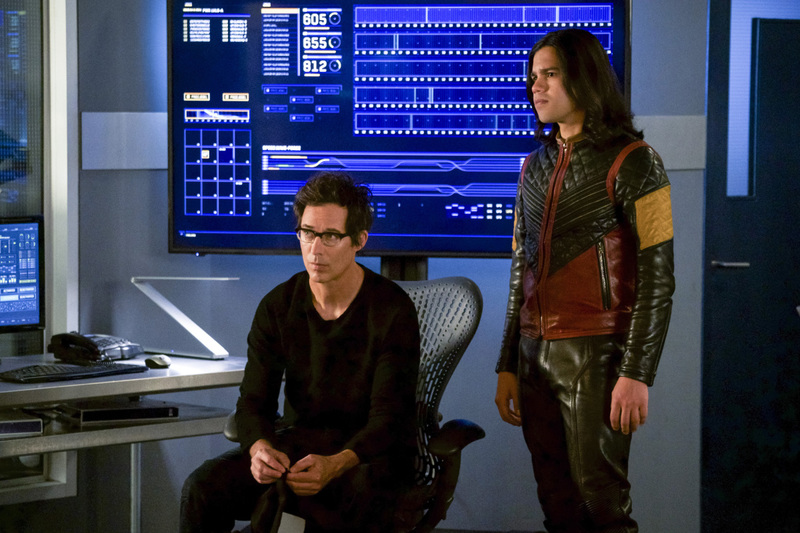 Photos from the Flash season finale “We Are The Flash” can be found below; the episode airs on Tuesday, May 22.